Projecting, organizing and designing are common action at architecture, this art (and technique) of projecting and planning buildings made by the hands of our humankind. It started to be built on January, 2003. In the end of that year, it was already finished. 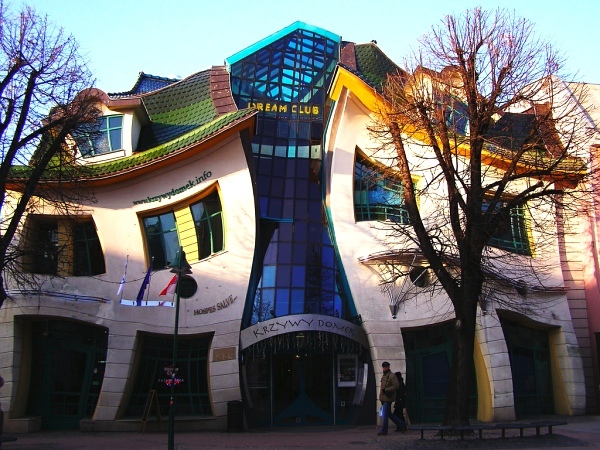 Its architecture is inspired on images and paintings by Jan Marcin Szancer (a famous Polish illustrator of child books) and by Per Dahlberg (Swedish painter who lives in Sopot). This one was built between 1998 and 2000. 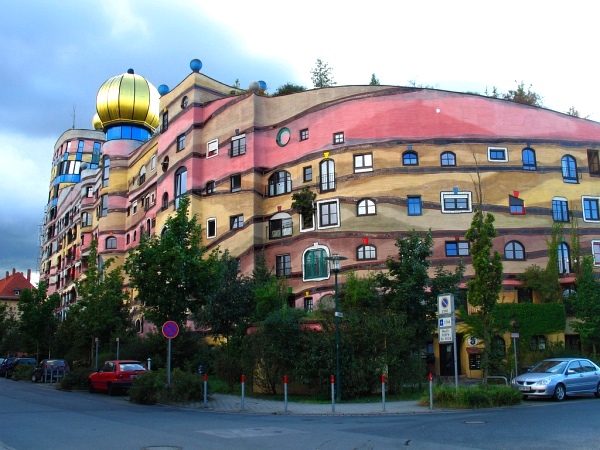 Friedensreich Hundertwasser, Austrian architect and painter, is recognized by his revolutionary, colorful, irregular, organic-shaped design. The building's structure, composed by one hundred and five apartments, has also a restaurant and a bar on its top, at the Southeast part. 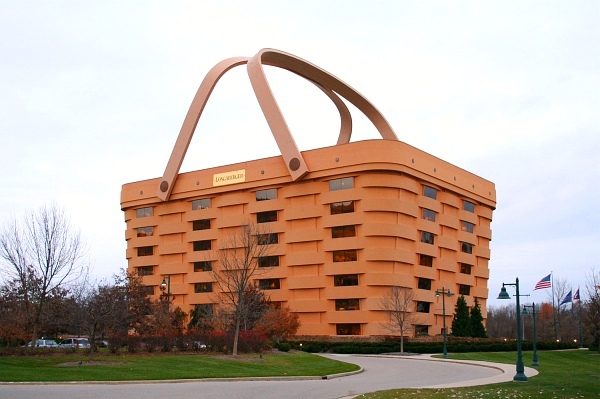 The "Longaberger Basket" headquarter is probably the most bizarre office building ever. It has 180,000 square meters, it costed 30 million dollars and last two years to be finished. No-one could stop, or even modify, Dave Longaberger's plans, who wanted a true replica of the real object. This building at the core of Kansas City is included at one of pioneer projects that aimed modernizing the lowest part of the city. Its population was asked about what were some of the classic books that represented the city. Then, the exterior garage entrance was shaped on those titles' design. 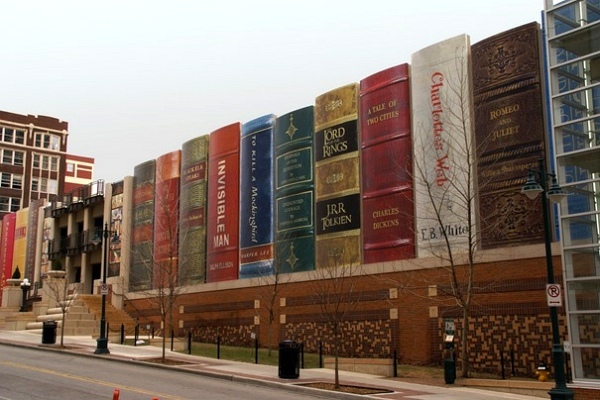 The target was calling the attention up, in order to encourage the use of the library. The original idea for building these houses goes back to the 1970's. Piet Blom developed a pair of them, which were raised up in Helmond. 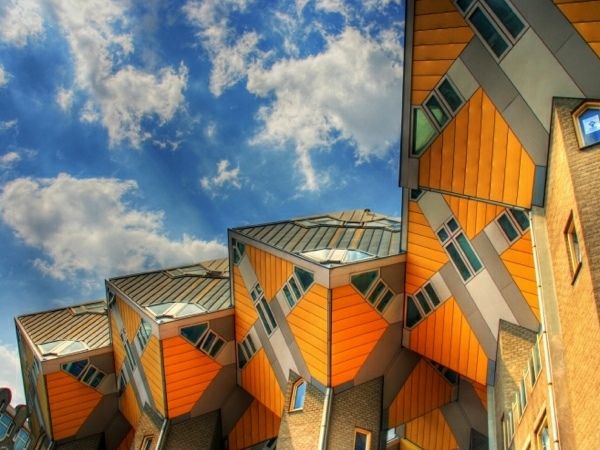 However, Rotterdam wanted that Piet designed some of these one for the top of the pedestrian bridge , and he decided to use the cubic houses. The trial of creating a forest where each cube represents an abstract tree is the core of the concept. 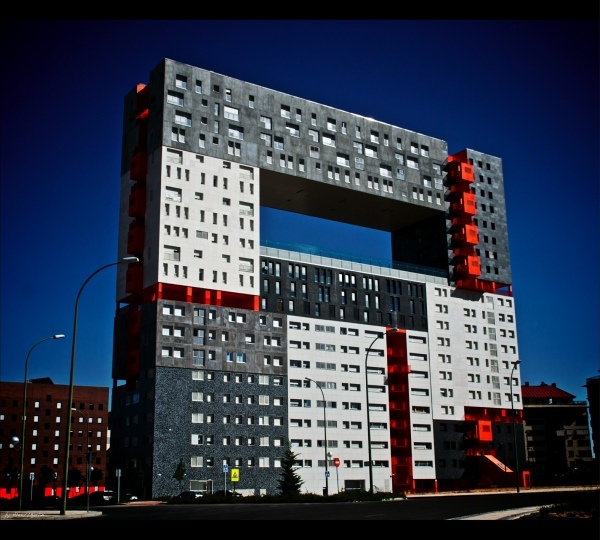 It was developed by German architects. The building has 63,4 meters high and 21 pavements. The highlight point of the construction is the huge central void more than 36 meters away of the ground. The dwellers of this condominium can enjoy an open-air area with a garden also included. The different colors represent the respective blocks, offering at least 9 kinds of apartments. The author of this performance is worldly known by his sculptures. Since the 1980's he created several "One Minute Sculptures". 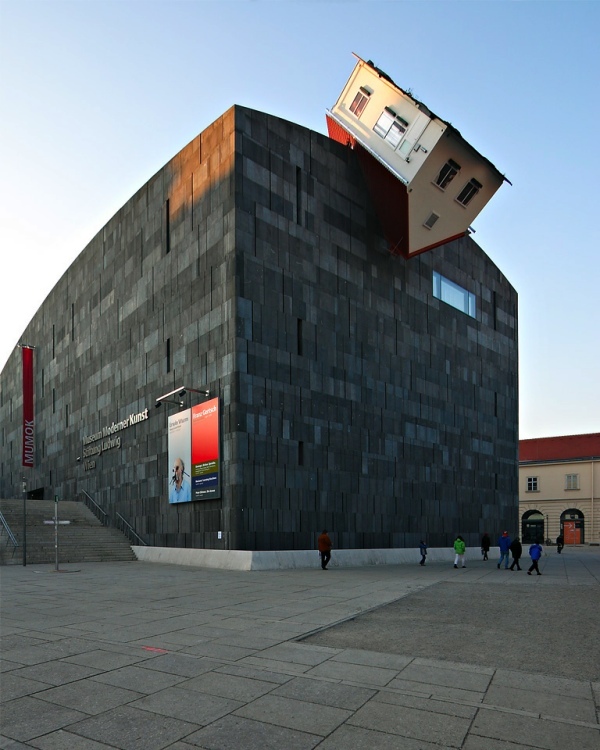 Here he attached a house turned upside down, during an exposition at the Moderner Kunst Austrian Museum. They were created by Shusaku Arakawa and Madeline Gins. 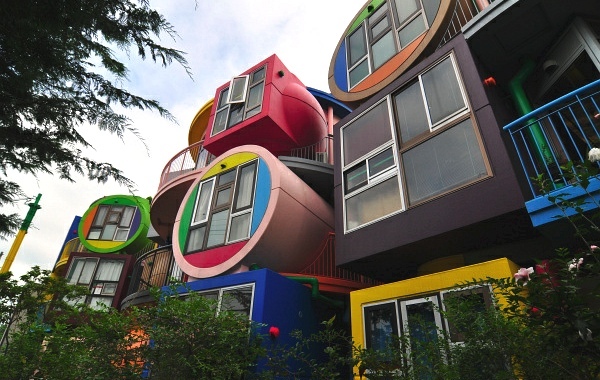 Behind this more-than-colorful-and-creative complex of apartments lays a philosophy. People must not be relaxed at home -- they must be evolved on an ambiance that can stimulate the senses and empower their lives. Something that, instead of keeping them sat down, stand them up. Image's source: 1, 2, 3, 4, 5, 6, 7, 8.